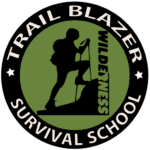 About – Trail Blazer Survival School, Inc. Develop skills that promote self-reliance in wilderness survival. Welcome to Trail Blazer Survival School and Adventures! 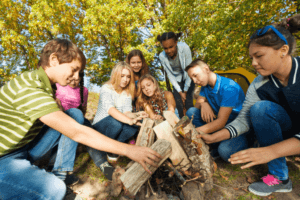 We teach basic and advanced outdoor wilderness survival skills such as shelter building, firecraft, navigation, finding and making water safe to drink, trapping, butchering, tanning and identifying edible and medicinal plants. Try one of our single day workshops or a multi-day course, such as our Essential, Applied, or Advanced Wilderness Survival offerings. Register Today! 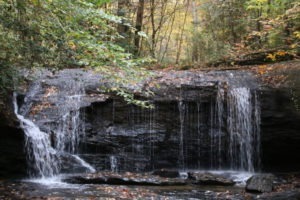 Trail Blazer Survival School can customize courses and trips to meet your needs. Custom adventures such as our popular one day visit to 7 breathtaking waterfalls and unique lunch experience are available upon request. Get your camera ready and contact us to schedule! Another great option is to head into the backcountry for a 2 to 7-day adventure into magnificent wilderness areas with a guide who will teach you new bushcrafting skills as you try your hand at wilderness survival. Our Wilderness Survival Weekend Adventure is the perfect getaway for you and a friend. Complete our contact form or call (864) 263-3850 to schedule.